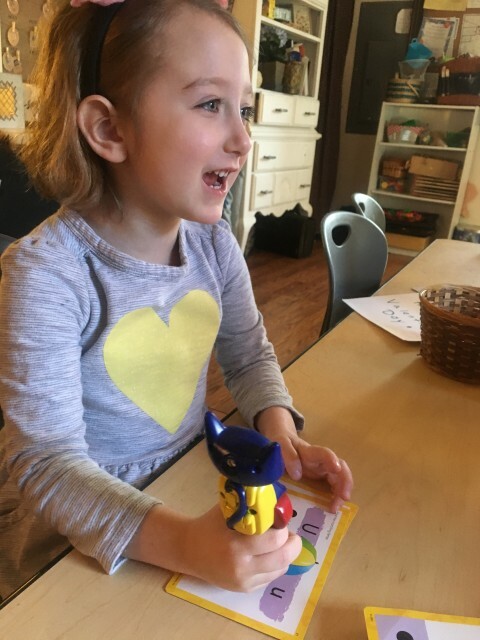 Learning the names of alphabet letters – like all early learning – is best done in the context of what is meaningful to young children. Many children first learn the initial letter of their own name, which has a great deal of meaning and importance to them. For the child who loves Jell-O J may be an important letter, while the child who knows that daddy works at Walmart may begin to notice the letter W.
Some children learn to read without knowing the names of letters or the sounds associated with them. But research shows that for most children, associating names and sounds with the alphabet comes before conventional reading. However, this finding does not mean that letter names should be drilled into young children. There are far more effective and enjoyable ways for children to learn about letters. For instance , children enjoy labeling items that they choose. 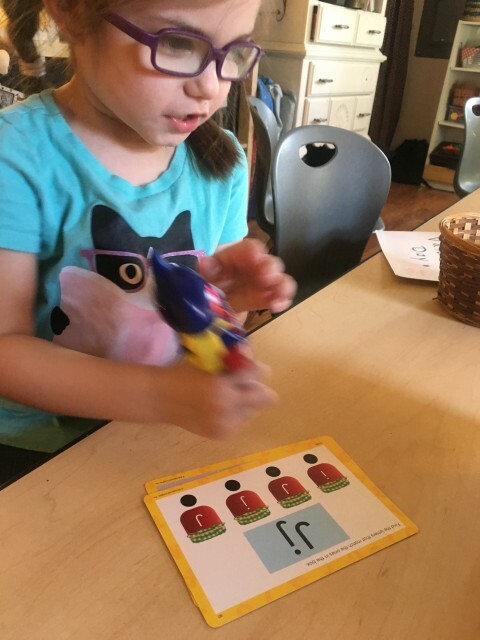 Sound out the name of the object together to determine which initial letter to use, then cut out big letters for magazines or newspapers and by the child to take them across the items that she wants labeled. Or the adult can write out the letters with the child. At home or out together, point out letters and words that are likely to be a special interest to your child. 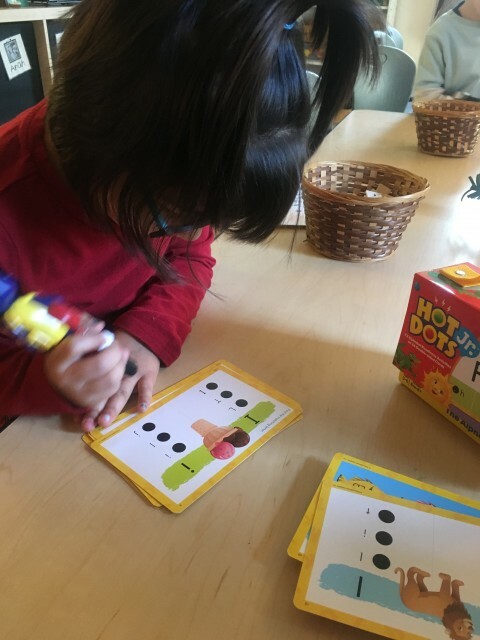 Try simple activities such as reading logos of favorite foods and stores, identifying street signs, writing grocery lists together, and playing with the magnetic letters on a refrigerator door while singing the alphabet song. Remember, children learn through play! Today we added the new toy that promotes letter recognition. The children enjoyed matching the letters in the game and watching the eyes of the cat and owl turn red and green to signal whether they chose the right match.